As I'm busy finishing up the last of Girl Scout cookie sales, I keep reminding myself of my weight loss success and of the goals I still want to reach! As much as I love Samoas and Thin Mints, I stayed true to my goals and only purchased 2 boxes this year instead of 12 boxes like last year! The Get Fit Guide here on Being Frugal and Making it Work is winding down, with only a few weight loss/fitness giveaways still running that you can enter. 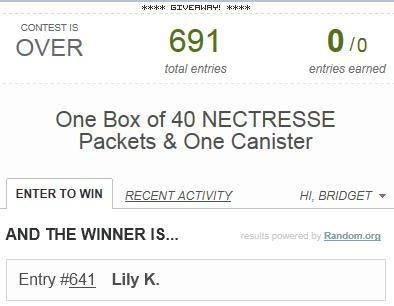 Are you one of today's 4 lucky Get Fit Guide giveaway winners? 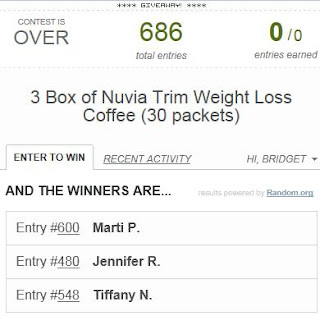 The 3 winners of the Nuvia Trim Weight Loss Coffee are Marti, Jennifer & Tiffany! 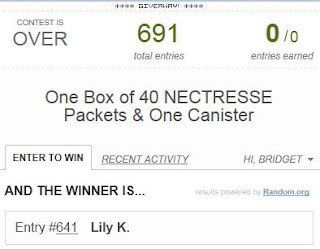 The winner of the Nectresse Zero Calorie Sweetener is Lily! CONGRATULATIONS to the lucky Get fit Guide giveaway winners. Check your email, I have sent you a message. 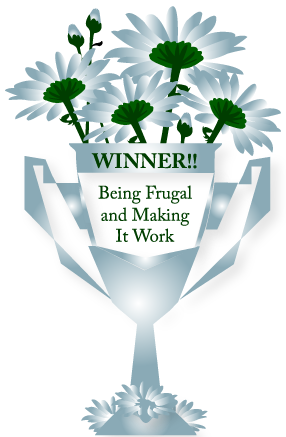 You will have 48 hours to respond to the email, or another winner will be drawn. Would item/thing would you most like to win?